GetUp yard signs for Menzies! 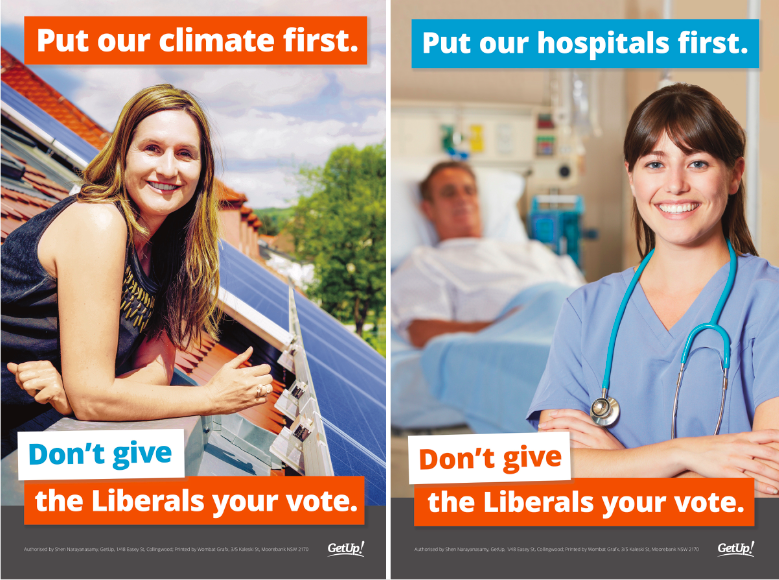 By making sure that while walking the dog or dashing to the supermarket - voters in Menzies know that if they want to put the climate first this election, don't vote Liberal. Yard signs can be picked up from a central location in Templestowe, or we can organise delivery for those who are unable to pick up. To sign up RSVP on the right and then fill in the form on the following page.